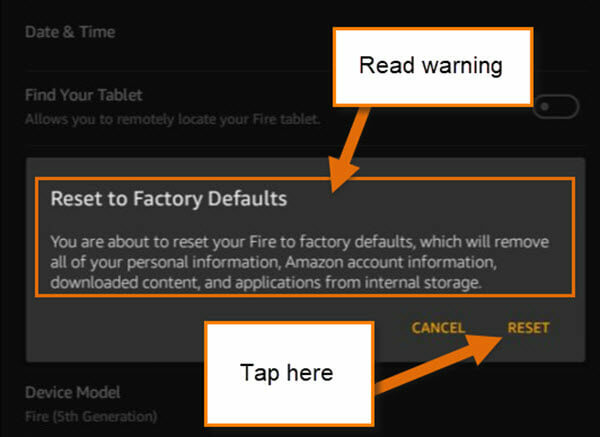 Step 1: Turn on and log in to your Kindle Fire. Once in, there are two ways I will show you to get to the Settings Screen. The first way is to swipe down from the top of the screen. This will bring down a menu. 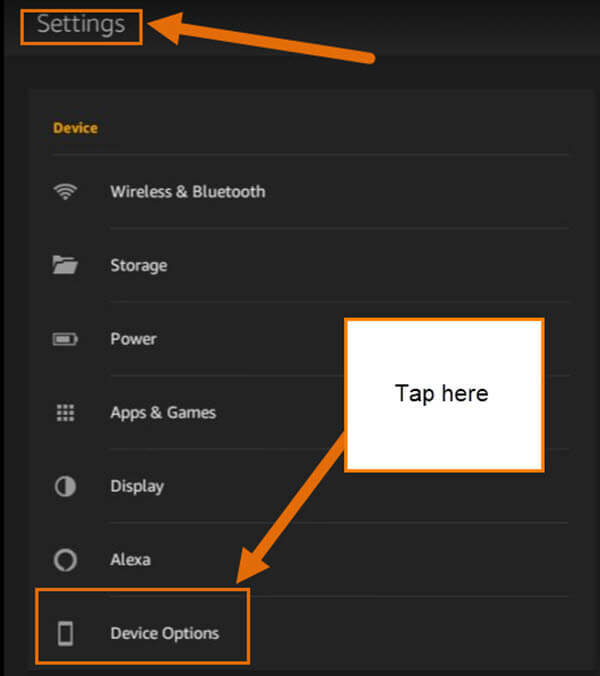 From here you will need to tap on the Gear Icon. 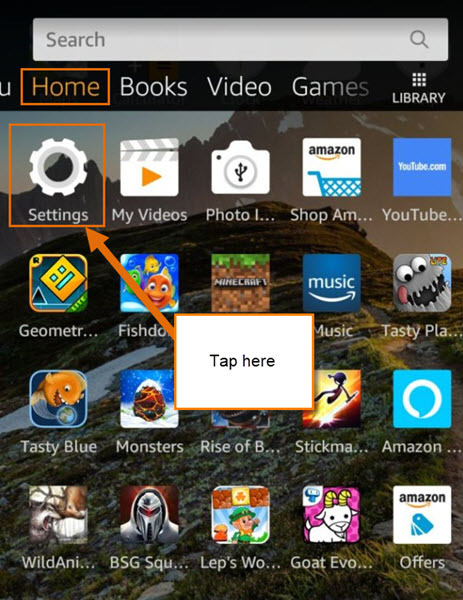 Step 1.2: The other way to get to the Settings Screen is to go to the Home Screen. You should already be there when you turn on the tablet, but if you are not, tap on the Home Link at the top. Then scroll down the screen until you see the Gear Icon again. Tap it. 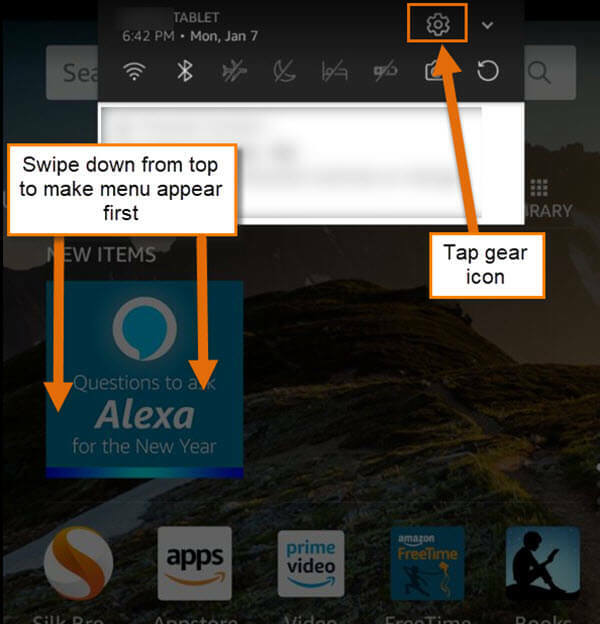 Step 2: On the Settings Screen you are looking for the words Device Options— it should be right below Alexa. Tap it. 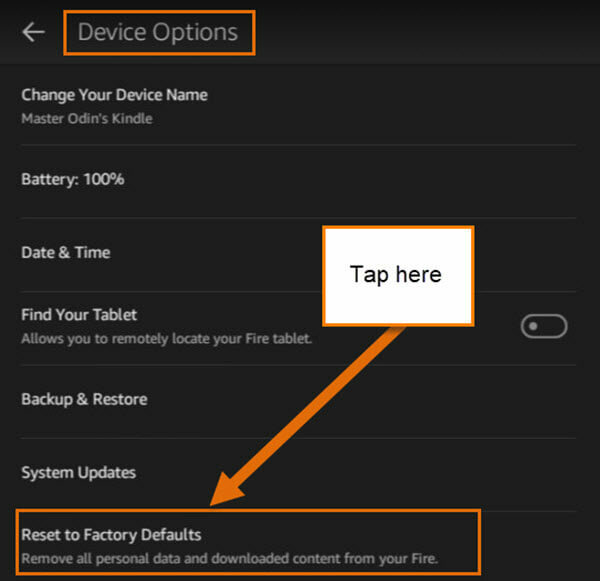 Step 3: On the Device Options screen, look for Reset to Factory Defaults. 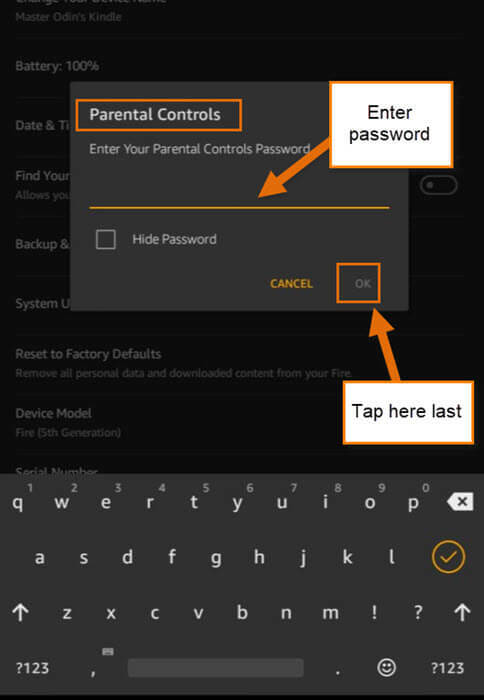 Tap it and you will need to type in your Parental Controls password if you have that set up. Step 4: The last window to pop up is the WARNING. It is always important to read this before hitting the doomsday button. If you are good to go, tap on Reset. DONE! Now the system will start the reset process. Once finished, you will need to set up the Kindle as if it was new. Time to start fresh and load all those Apps– again.